Read about our latest release which brings installation ease of use, improved resource governance and security, and containerization upgrades with Docker and Kubernetes. This self-contained RPM archive enables users to install Cloudify Manager on any RHEL/CentOS 7.4 machine without an internet connection. This Docker image enables users to install Cloudify Manager in a self-contained Docker container on any platform. Users now have the ability to choose set permissions of resources from Cloudify Console (the web UI) upon upload. We also allow Users or Sys Admins to set uploaded resource from Private (that User only) to Tenant (all Users in tenant) or Global (all Users in all tenants), or Tenant to Global. Composer now supports multiple blueprint operations, includes a plugin catalog presenting the plugins already uploaded to Cloudify Manager, and comes with a pre-packaged set of IaaS templates for quicker start time. We have been working tirelessly to provide even deeper integration with Kubernetes and cloud native workloads. 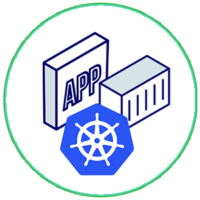 For Cloudify 4.3, we added a significant feature to the Cloudify Kubernetes Plugin, which now offers users support for creating resources on Kubernetes uses a Service Account Token. The Beta Release of the Kubernetes Provider has also been recently released. You can test out the Provider by going to this link.